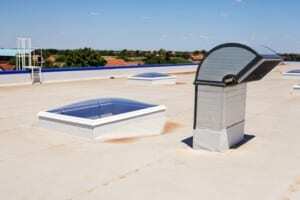 Commercial roofing practices have evolved a great deal in recent years. While some business owners might like to sacrifice roof maintenance and proper repair for the purpose of saving some money, experts admit that the best practice is to employ vital maintenance tasks as soon as possible before spring comes. When it comes to commercial roofs, you have to understand that the materials, the workmanship and just about everything else about the roof is very different from residential roofing systems. Most commercial roofing installations involve flat roofing products, and naturally, their maintenance and inspection process is different from that of a residential roof. To check the structural integrity of a flat roof, you will have to get up on the roof, and examine the membrane or panels’ condition. If you spot any damage, contact your roofer about it to avoid having to turn it into a DIY project. You can also consider maintenance services offered by some of the top Colorado Springs commercial roofing contractors in your area. If you’re interested in finding the problem as swiftly as possible, and you don’t want to spend a lot of money on roof repair and maintenance, contact your local roofers, schedule a meeting, and discuss some of the main services they can help you out with.